This post is for my Youtube subscribers, readers of The Healthy Gamer, and users on the various forums(especially reddit and bodybuilding.com) that have helped to share the healthy gaming message. Thank you for helping me reach 10,000 Youtube subscribers. I am deeply appreciative of the wonderful support you have bestowed upon me and the healthy gaming ideal. I’ve created this comprehensive guide to help you lose stubborn belly fat while maintaining lean muscle mass as a token of my appreciation. Insulin – Insulin is a hormone. It signals to your body that glucose needs to be stored. Insulin is released in response to glucose entering the blood stream. ALL carbohydrates(sugar, whole grain, complex, and simple) are broken down into glucose. Your body releases insulin in direct proportion to the volume of glucose in your blood. Glucose needs to be either burned as fuel, stored in the liver and muscles, or stored as fat. High levels of glucose in the bloodstream is toxic to the body. Low-carb diets like the ketogenic diet are the gold-standard for losing fat. Low-carb diets by definition limit the amount of glucose entering your bloodstream thereby eliminate blood sugar(glucose) spikes. This mediation of blood glucose then eliminates large insulin spikes. With our new understanding of insulin it is easy to see why the average person eating a standard Western diet has weight issues. 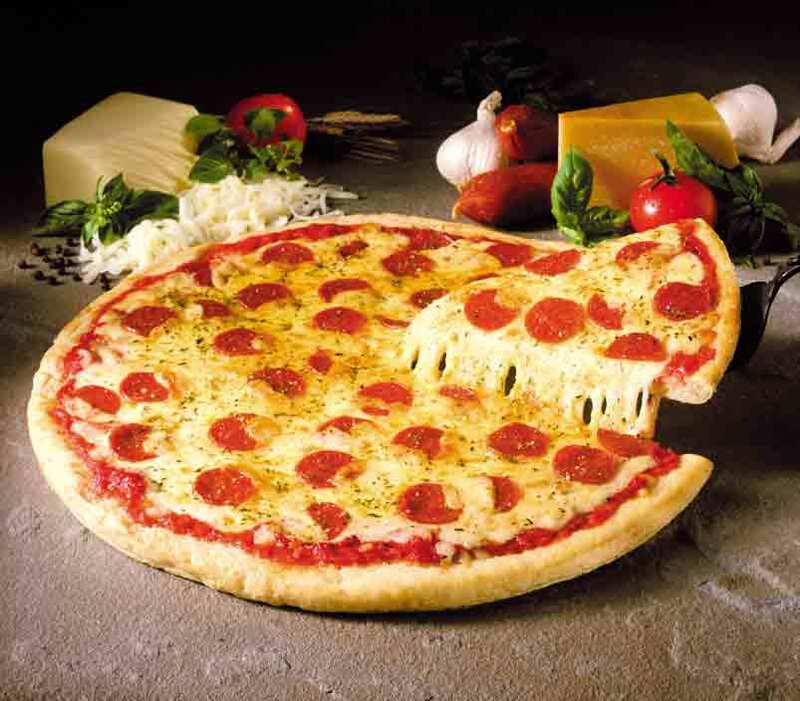 Most of their meals consist at least 100g of fast-digesting carbohydrates made up of breads, pastas, and flours: pizza, burger buns, sandwiches(subway is a terrible choice for weight loss), pasta sides, sugary cereal, and sugary soft-drinks. These processed carbohydrates are easier for our digestive system to break down and thus introduce glucose into our bloodstream faster and at higher volumes than carbohydrate rich vegetables and fruits. It requires nine cups of strawberries to equal the sugar content of one 20 oz soda. As we learned earlier, high levels of glucose is toxic to the body, so our bodies must do something with it. Glucose stored in the liver and muscles are used during exercise. If these stores are depleted then blood glucose is shuttled to these stores(muscle and liver) before it is stored in fat- this is good. This explains why nutrition and fitness experts recommend eating your large portions of carbohydrates only after exercise. The problem for most Westerners is that their carbohydrate consumption is completely out of balance with their physical activity level. I am a very active man and I only need an average of 150g of carbohydrates per day to keep my muscle and liver glycogen levels full. The average westerner consumes on average 300g of carbohydrates per day. And they don’t exercise. With every meal they are storing glucose as fat. With every meal they are releasing a hormone into their body that inhibits their body’s ability to use fat as energy. And then you get to listen to them whine about how hard it is to lose weight. Type 2 Diabetes is a direct result of our standard Western diet’s effect on insulin. If you have eaten a high carbohydrate diet for all of your life it is likely that you are insulin resistant to some degree. Insulin resistance causes lethargy, fat gain, and will eventually lead to type two diabetes. I’ll show you how you can easily reverse all of this with a few simple steps later in this article. The final piece of the insulin puzzle are its effects on your hunger and energy levels. Think “sugar crash.” You eat something high in sugar, feel manic and are filled with frenetic energy for half an hour, and then your energy levels plummet. You’re left feeling lethargic and moody. Your brain personified would look like a foggy night in London. This is because the high carbohydrate meal you just ate flooded your blood with glucose. Your body responded accordingly by releasing high levels of insulin. While the glucose was still in your blood-stream you had high levels of energy but insulin is a very efficient hormone and quickly transports the glucose to your liver, muscles, and fat cells. Insulin is so efficient infact that large insulin responses will leave you with too-little glucose in your bloodstream. This then signals to your body that you need immediate energy and you will feel sharp cravings for more high carbohydrate foods. A vicious cycle. Leptin – Leptin a hormone that tells your body that you are full. It counteracts other hormones which tell your body to feed. Leptin is released in large quantities when you eat fats and proteins and in lesser quantities when you eat carbohydrates. Fats and proteins cause significantly more leptin to be released than carbohydrates. Just think about a typical standard breakfast. You can eat pancakes all day. But how many plates of bacon and sausage could you eat before you started to feel sick? The added satiety afforded by fats and proteins because of leptin is an essential weapon in your war against fat. You can “diet” without feeling starved all day. 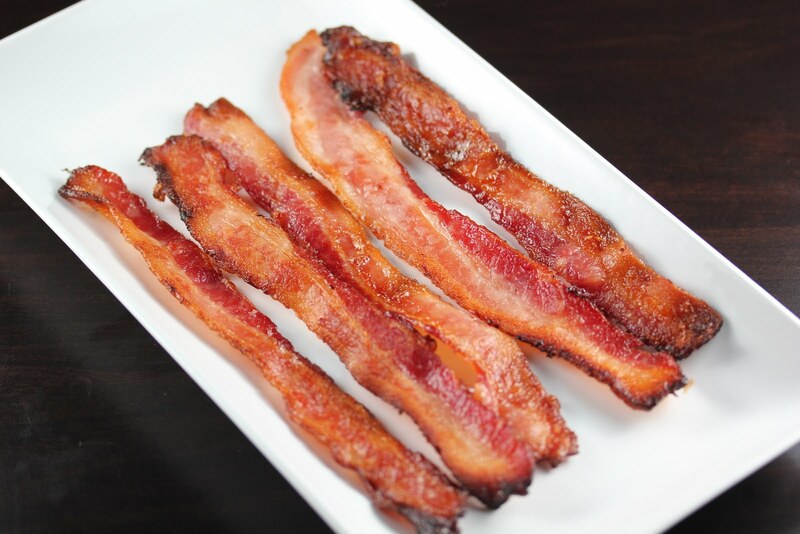 You can shed fat effortlessly while eating your favorite foods- like bacon! When we don’t have blood sugar crashes that are caused by insulin spikes we won’t crave sugars and carbohydrates. When we eat meals that are high in fat and protein we stay satiated all day. Cortisol – Cortisol is a hormone that tells your body to release energy(stored in fat cells). Cortisol is naturally highest in the morning, but is also release when the body is under stress- mental or physical. Cortisol is very beneficial when it is in balance. However, most of us do not have healthy levels of cortisol due to our high-stress modern lifestyle. Elevated cortisol, like insulin, can wreak havoc in your body. Elevated levels of cortisol actually leads to weight gain and a resistance to fat-loss(especially visceral and belly fat). If you have a layer of belly fat that you just can’t seem to lose no matter what you try then it is almost certain that you have chronically elevated cortisol. Cortisol also counteracts the effects of insulin and conversely insulin counteracts the effects of cortisol. Therefore we want to minimize our insulin levels in the morning to take full advantage of the enhanced fat metabolism caused by our naturally high cortisol levels. When we eat we want our cortisol to be at a low point so our bodies can efficiently store our nutrients in our muscles(because some insulin is good, without it we could never put on any mass, and bodybuilders have for years been injecting themselves with insulin before meals in order to gain weight faster). So then it makes sense to eat our big meals later in the day when our cortisol have dropped off naturally. In following this regime we take advantage of the high fat burning power of cortisol in the mornings and let our bodies repair and replenish in the afternoon/evenings. HGH – HGH or human growth hormone is vital to the repair of our bodies. Studies show that fasting greatly enhances our body’s natural production of HGH. Increasing our body’s natural output of growth hormone will help you shed fat AND gain muscle. You’ll even wake up feeling more refreshed after a night’s sleep. A side-note about growth hormone and alcohol: Never go to bed with alcohol in your system. Alcohol deprives your body of the restorative properties of HGH. Alcohol can decrease the secretion of HGH during sleep by as much as 70%. Insulin – Released when you eat carbohydrates. Too much insulin causes fat gain. Leptin – Tells your brain that you’re full. Proteins and fats release more leptin than carbohydrates. Cortisol – Your body’s “stress hormone.” Naturally highest in the morning. Excessive cortisol causes metabolic problems and stubborn belly and visceral fat. HGH – Repairs the body. Fasting causes increased HGH production. Alcohol inhibits HGH production.